Organic Squeeze believes in health, happiness and community by creating a welcoming environment for juice lovers from all walks of life. No matter your situation, we seek to help you reach your full potential in leading a healthy life, through education and prevention. We believe in nurturing and empowering our guests so that restoration and detoxification can occur in both the mind and body. 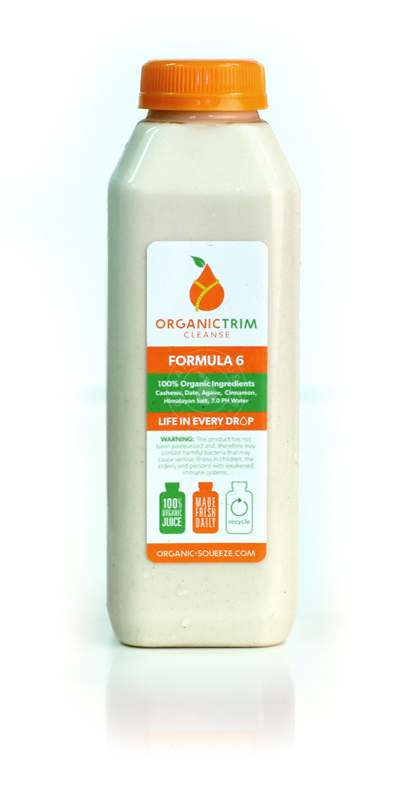 The cleansing process allows your digestive system to rest while fully nourishing your body with phytonutrients, live enzymes and essential vitamins and minerals. You should never feel as though you’re being depriving, a cleanse is about complete nutrition and healing. Plant derived and packed with health benefits, phytonutrients are the living enzymes that make fruits and vegetables so beneficial to our diets. Cold pressed juice provides the optimum level of nutrition in that it retains all the raw vitamins, minerals and live enzymes that naturally occur in non GMO organic produce. Phytonutrients are essential in fighting disease and infection by protecting cells. Pasteurizing, or cooking your juice, begins to kill the phytonutrients that make raw juice so beneficial. Cleansing is a way to live – not a way to diet. If you feel overfed and undernourished, we want to partner with you to change that. Cleanses can be truly uplifting, physically beneficial processes if done correctly, with plenty of thought and planning. Here are some tips to help you get through your juice cleanse successfully and safely. 2. Detox first by replacing a meal a day with a juice for a week prior to your cleanse. 3. Exercise in moderation. Low intensity workouts during your cleanse such as walking, yoga, or a leisurely bike ride. 4. Drink water to keep your body hydrated to help flush toxins. Juice cleanse beginners might feel nauseous the first day or two of your cleanse. 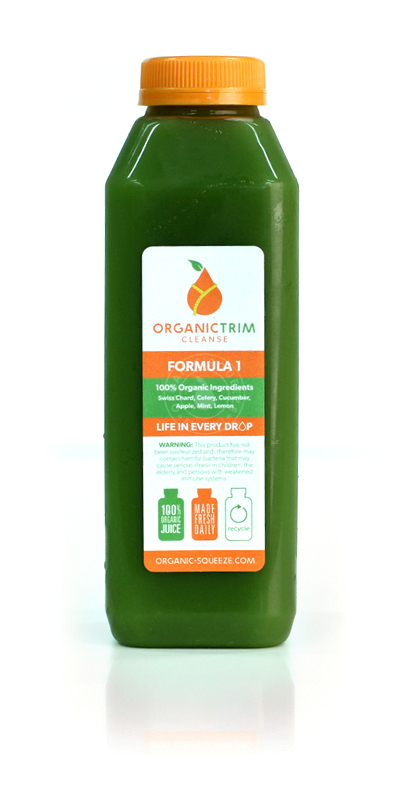 Your body will not be used to the potent, concentrated flavor and nutritional impact of the juice. Try diluting your juices at a one-to-one ratio with water until you feel fine. If you have no problem with the potency of the juices, make sure you drink as much water as you feel comfortable. This will ensure your system is hydrated enough to flush out the toxins. If at any time you are experiencing a bad reaction to your cleanse, stop your cleanse immediately. The goal of a juice cleanse is to get healthier and feel better, it makes no sense to continue your cleanse if you feel truly horrible or experience severe physical symptoms. Feeling fatigued, a slight headache and nauseous is normal, and may have more to do with withdrawal from caffeine. How long is your cleanse? Adding aloe vera to your juice or taking it as a shot can help soothe and cleanse your intestinal lining while improving digestion. We recommend consuming 2 ounces per day. Chlorophyll is a natural detoxifier, energy booster, and alkalizer. Athletes use this to aid in building protein. Chlorophyll is considered to be a super food filled with powerful nutrients and vitamins A, C, E, K, and beta carotene. It is rich in antioxidants, magnesium, iron, potassium, calcium, and essential fatty acids. Serves as a colon cleanser by pulling toxins out of your intestinal tract, while improving nutrient absorption. 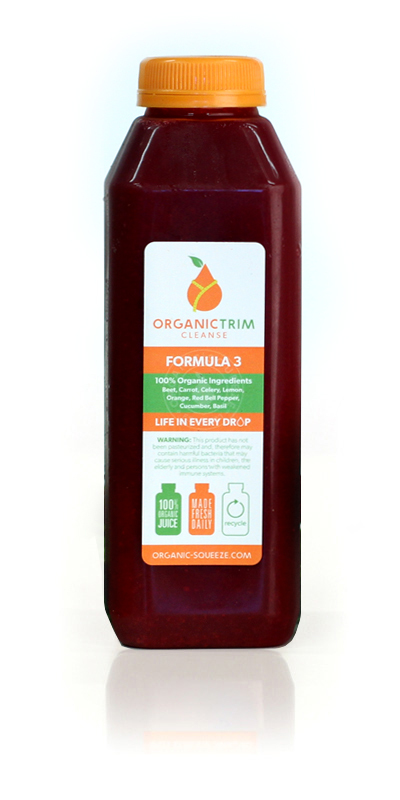 We recommend using 1 tablespoon twice a day, it can be added to any juice or smoothie! Dry skin brushes removes dead skin cells, improves circulation, and stimulates detoxification through your lymph system. Brush your skin a few times a week in circular rotations before taking a shower. Adding psyllium to your cleanse may aide in regularity, help diarrhea, and promote overall digestive health. Psyllium also may reduce the risk for heart disease and lower cholesterol. Psyllium comes form the husk of plant seeds and is ground into a powder form. You can add 1-2 tablespoons to your diet per day, there is no taste! * To pick up on Tuesday, order by Thursday at midnight. To pick up on a Saturday, order by Tuesday at midnight. 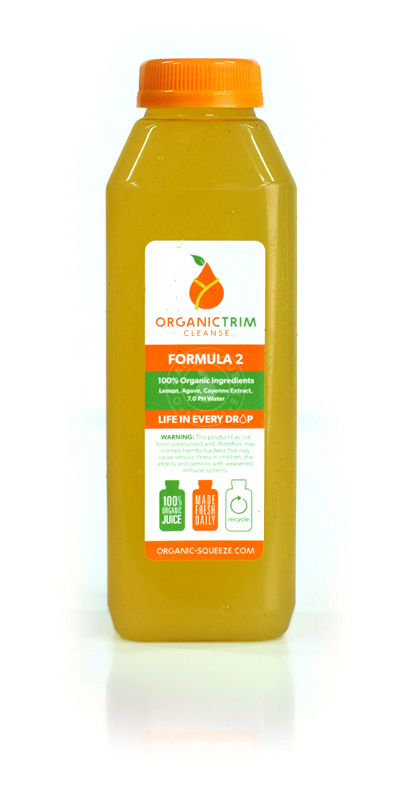 Organic Trim Juice Cleanse is made to order so that it meets our commitment to provide you the freshest, highest quality and most nutritional benefits available. 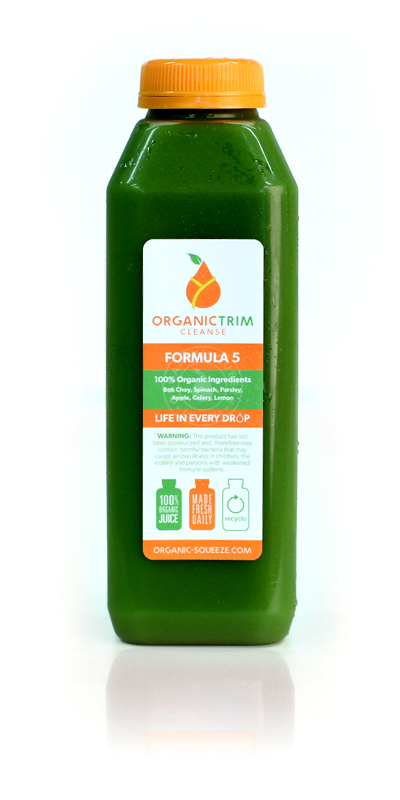 In order to meet this commitment, each cleanse is made based on the specifications in your order, therefore all sales for Organic Trim Juice Cleanse are non-refundable. In addition, for maximum benefit, your cleanse should be consumed within 5 days of your designated pick up date.